$100 Mighty Ape Voucher up for grabs plus get your FREE Fitbit! Are you clear, focused and happy? Check out the Southern Cross Healthier Mind Toolkit during April to find out more. 4 x weekly drawer of $150 dinner vouchers up for grabs during Benefits Month! 30-day offer – Join up and have no medical questions asked! Staff Open Week – including free Spin Classes. 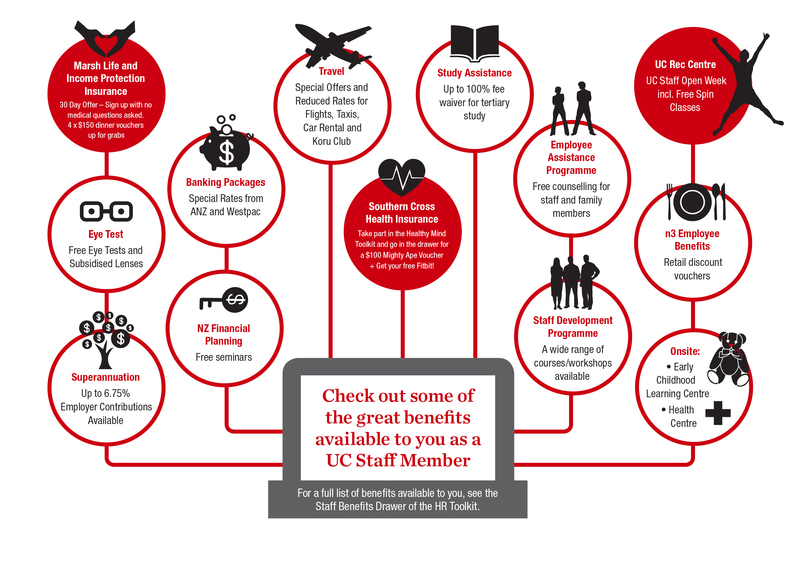 See the UC Staff Benefits Month webpage for more information. Don’t miss out on the opportunity to increase your skillset. Wednesday 13 April (9am – 4.30pm) – only four places left!! To ensure a place, register before the end of today! Our Delivering Service course will give you the understanding of who your customers are, what is expected of you, and clarifying any problems or issues in the UC context. Registration close at the end today. For a registration form, click here. A skill we all need to master is Dealing with Challenging Client Situations. Come along to see Andrea pass along her Gems of wisdom about how best to handle these situations. If this is not quite what you were looking for, Learning and Development offer so many other courses. Please email Learningdevelopment@canterbury.ac.nz and I will send you a copy of our calendar of upcoming courses and dates. Departs Fine Arts Carpark 8:45am and returns 12:20pm. Departs Car Park 1 (Dovedale Campus) 12:35pm then departs Fine Arts Carpark 12:55pm. Returns 4:25pm (drop-off on both campuses). Departs Fine Arts Carpark 12:45pm and returns 4:25pm. Flu vaccinations are available now at the UC Health Centre . Flu clinics will be held on Monday to Thursday, 9-10am and 2-3pm, and Friday 2-3pm until the end of June. In order to undertake works in the associated plant room, the north-south walkway through Civil/Mechanical will be closed this weekend for the entire day of Saturday 2 April. Signage will be in place to indicate alternative routes.